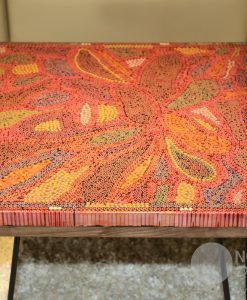 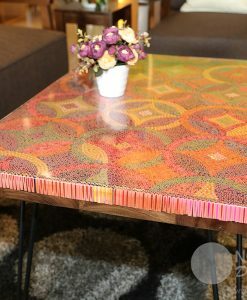 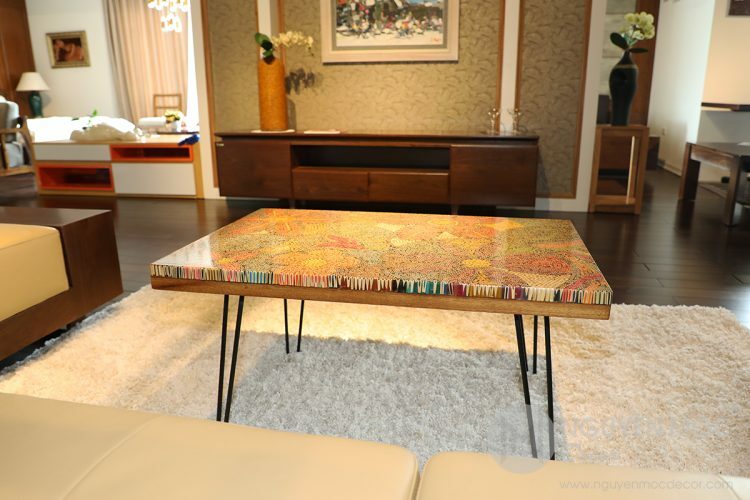 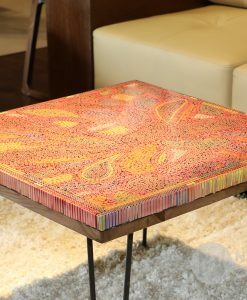 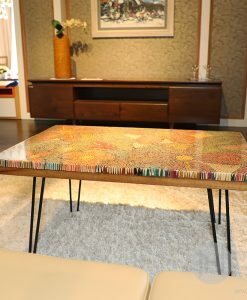 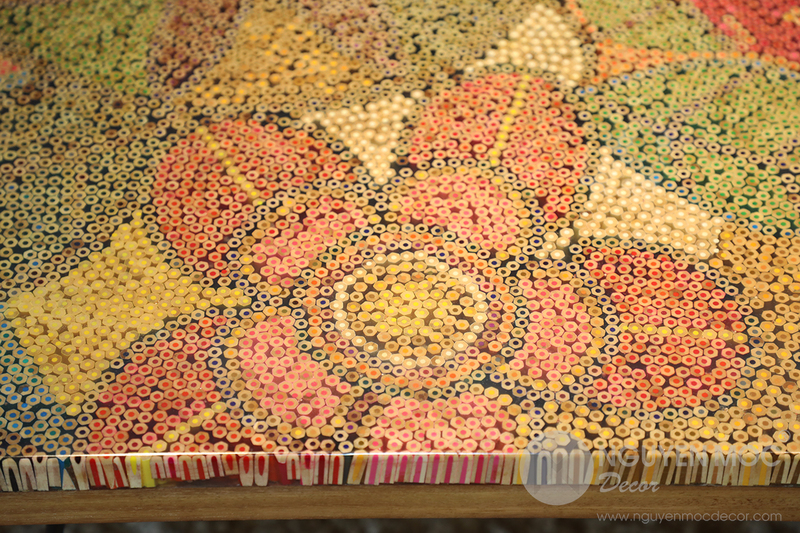 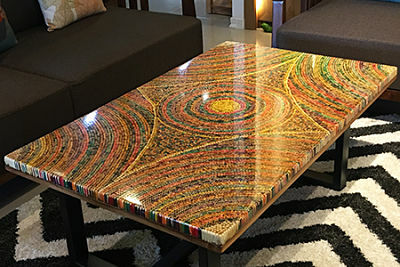 Meticulously erected by 9,680 pieces of colored pencils within 21 days by the qualified handicraftsmen, Exotic Flowers Colored-Pencil Coffee Table was managed to being exhibited in the selection of unique Colored-Pencil Coffee Tables of Nguyen Moc Décor. 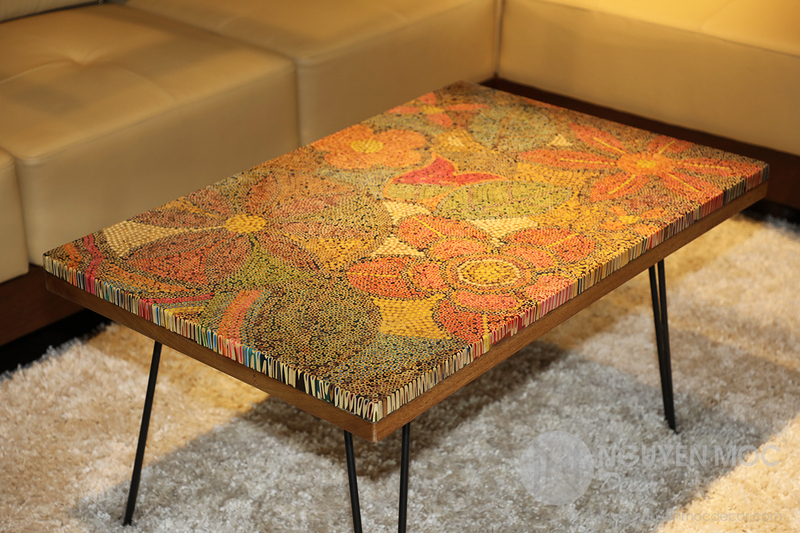 Attracted by the diversity of vibrant flowers all over the world, Nguyen Moc Décor’s Director emerged the ideas of bringing the art lovers Exotic Flowers Colored-Pencil Coffee Table – where the exotically beautiful blossoms converged. 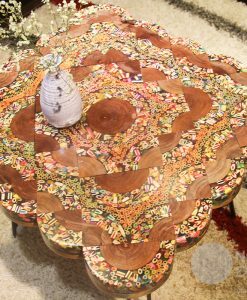 With over-ten-year experience in building the luxurious coffee table, the group of Nguyen Moc’s skillful craftsmen had to spend 21 days finishing the Exotic Flowers Colored-Pencil Coffee Table, bringing about the unique artwork. 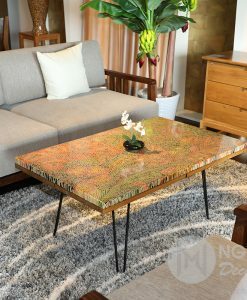 Like the exotic flowers at the most brilliant blooming day, this unique table seems to energize the owner after a hard day with its endless vitality. 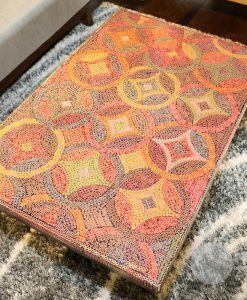 In addition, thanks to its elegant hues, Exotic Flowers Colored-Pencil Coffee Table is easily mixed with a variety of furniture, from the wooden chairs to sofa. 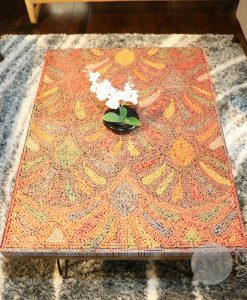 Are you ready to brighten your living space with the luxurious colored-pencil masterpiece – Exotic Flowers Colored-Pencil Coffee Table? Exotic Flowers Colored-Pencil Coffee Table lives in harmony with the luxurious sofa in the warm light. 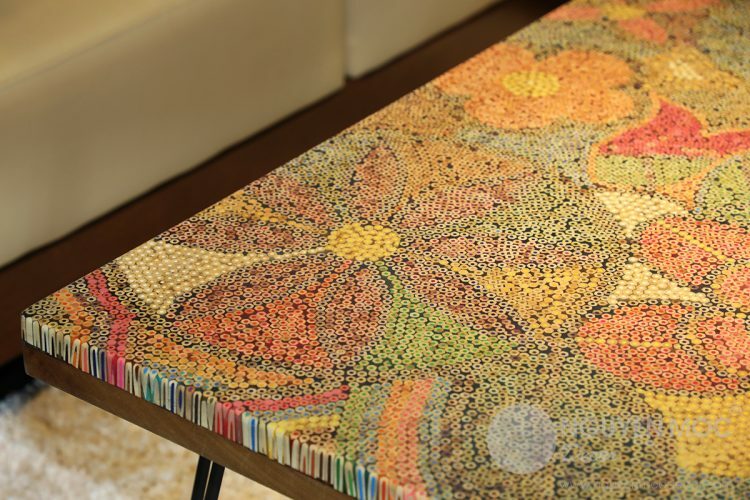 Admire the Exotic Flowers Colored-Pencil Table. 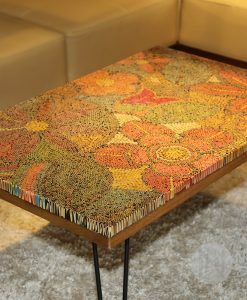 The hairpin legs – the best friend of Exotic Flowers Colored-Pencil Coffee Table help you save the living space with its neat design. 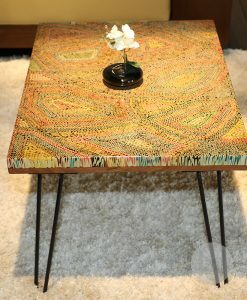 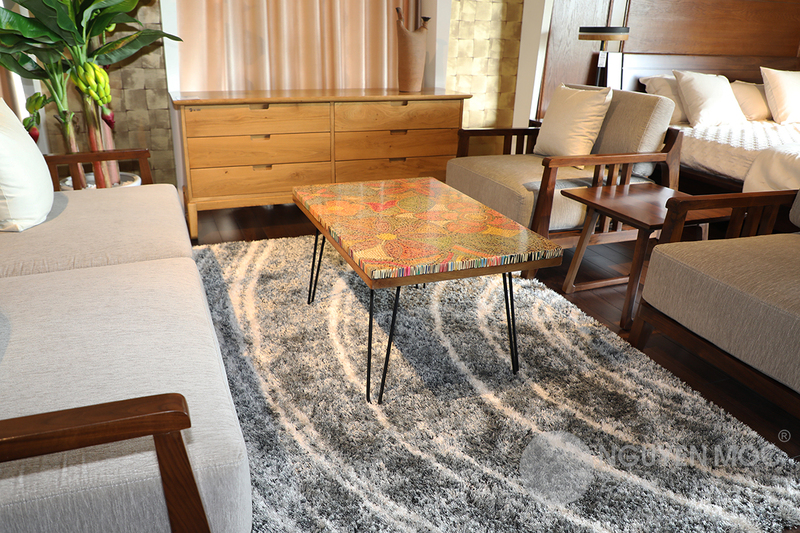 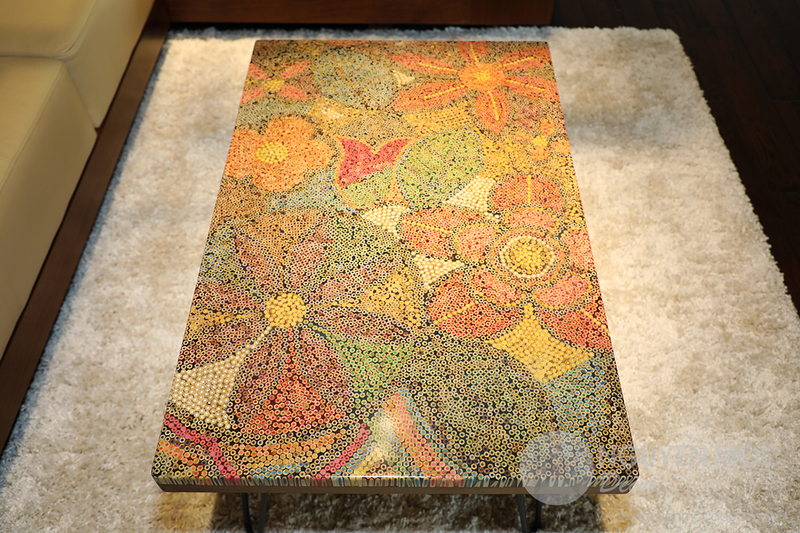 Exotic Flowers Colored-Pencil Coffee Table is confident to be the special highlight for your luxurious living room. 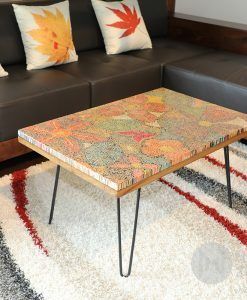 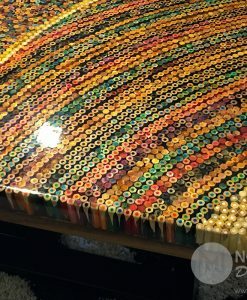 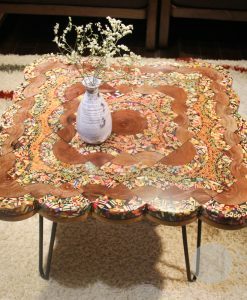 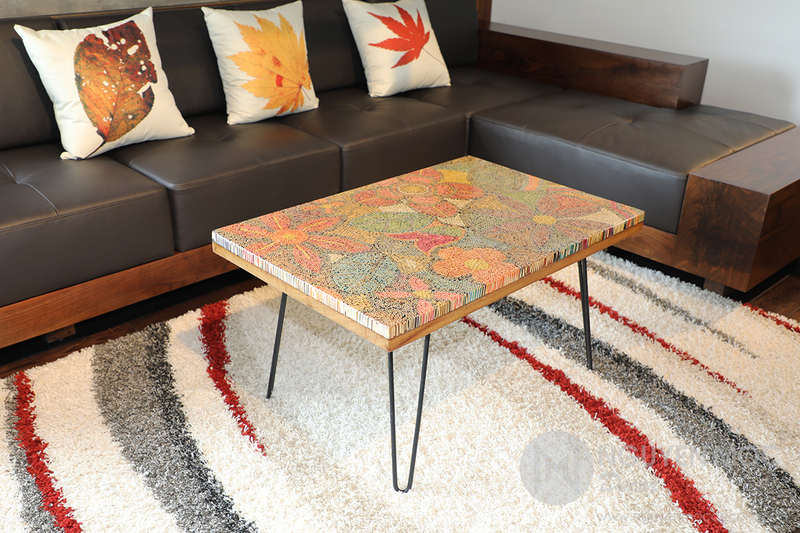 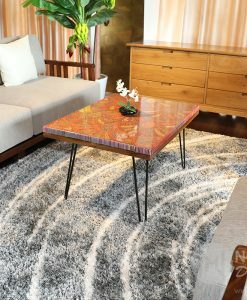 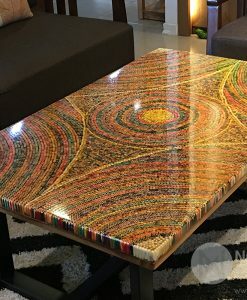 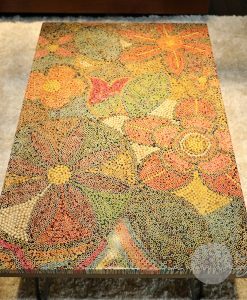 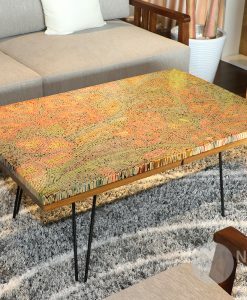 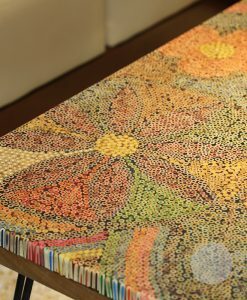 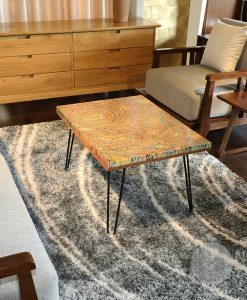 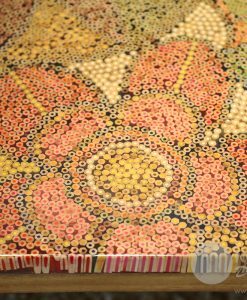 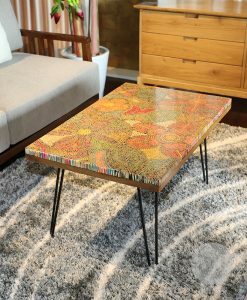 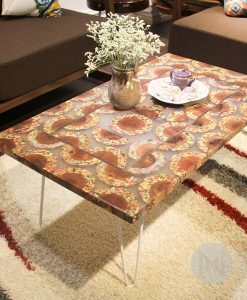 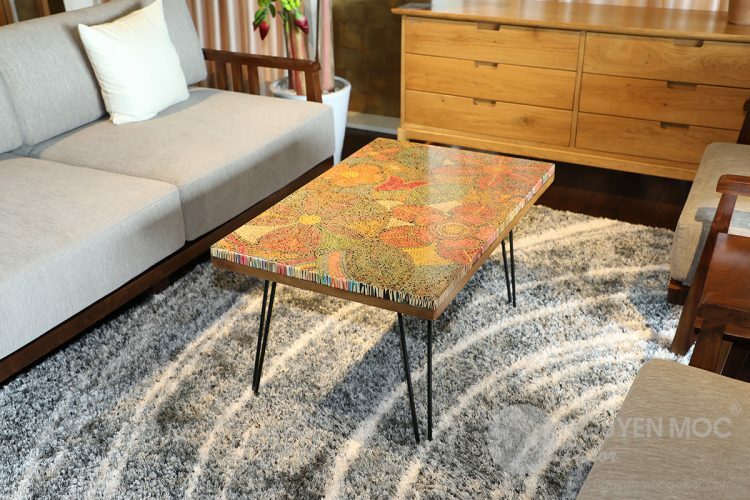 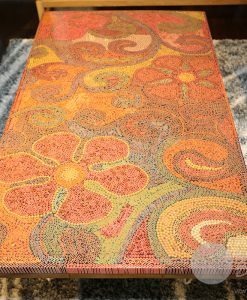 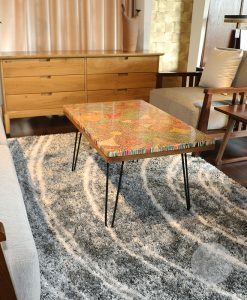 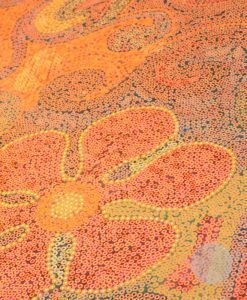 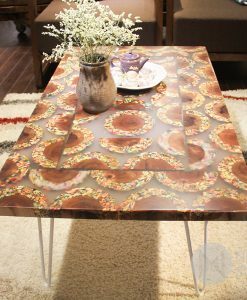 Each flower pattern was elaborately glued by resin epoxy to ensure the durable quality of Exotic Flowers Colored-Pencil Coffee Table. 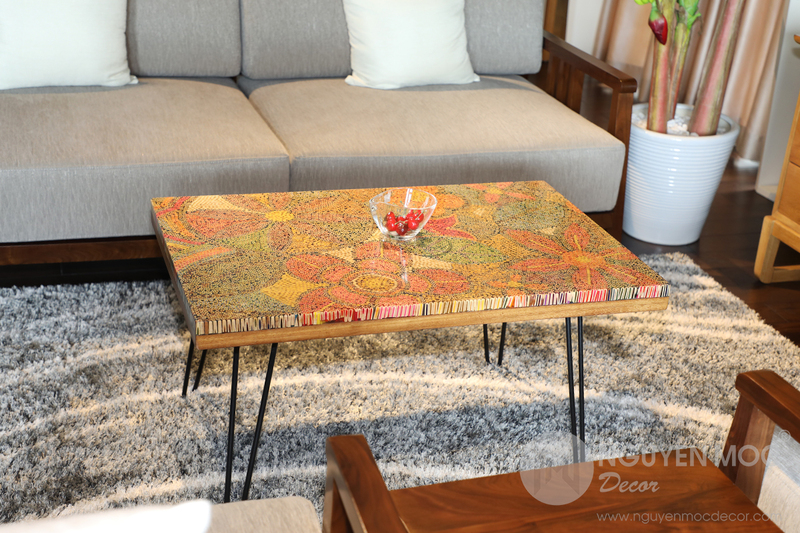 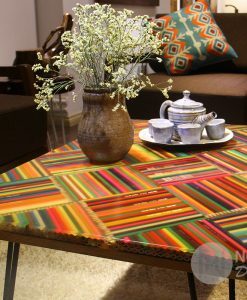 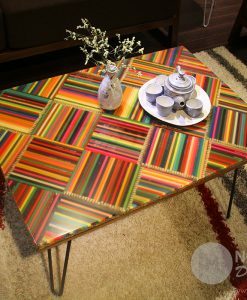 Stroking the Exotic Flowers Colored-Pencil Coffee Table, you will not find any wood chips because they were carefully removed by the experienced artisans of Nguyen Moc Décor.